Phonographic Copyright (p) – Next Plateau Records, Inc. Copyright (c) – Next Plateau Records, Inc. Published By – Turnout Bros. Manufactured By – Next Plateau Records, Inc.
Labels: ℗ © 1987 Next Plateau Records, Inc. Originally released in 1986. 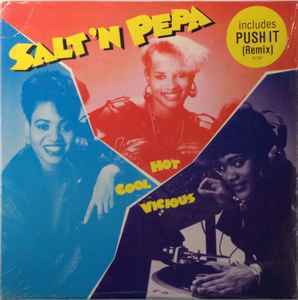 This version was reissued in December of 1987 with the same cover that shows the original 1986 tracklist, but with a modified tracklist that included ""Push It" the first track as well as alternate remix versions of a couple of tracks, which are correctly listed on the labels.